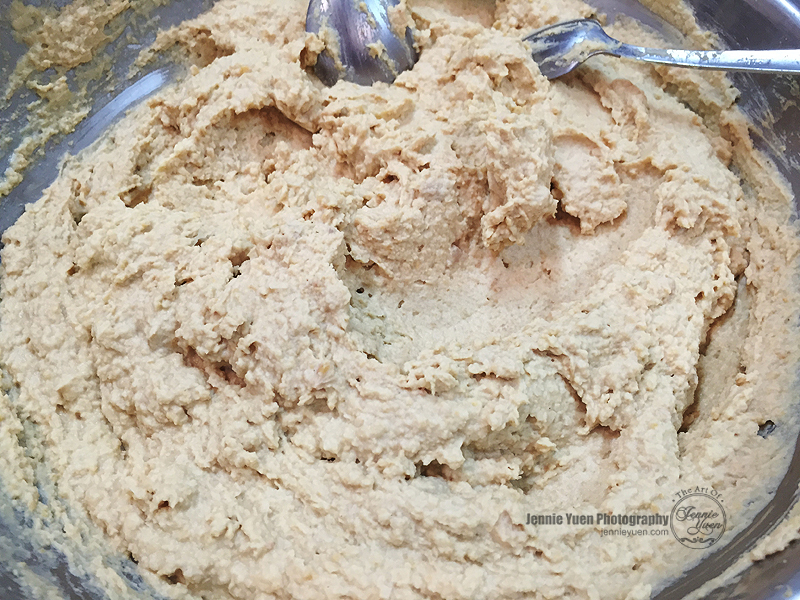 Hummus is a food dip made with cooked chickpeas or other beans blended with seasoning. 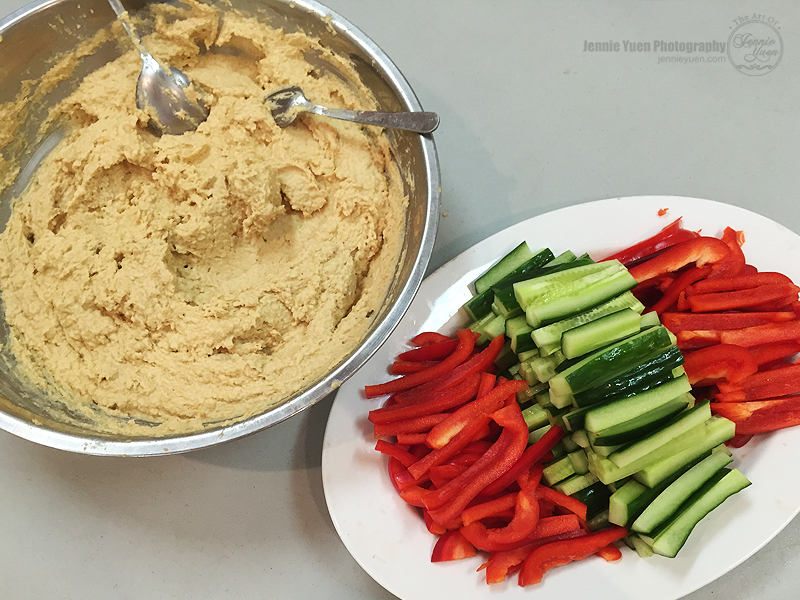 It's perfect for dipping raw veggies and makes healthy snacks. If you ever wanted to make your own at home rather than store-bought, check out the simple and easy recipe below. 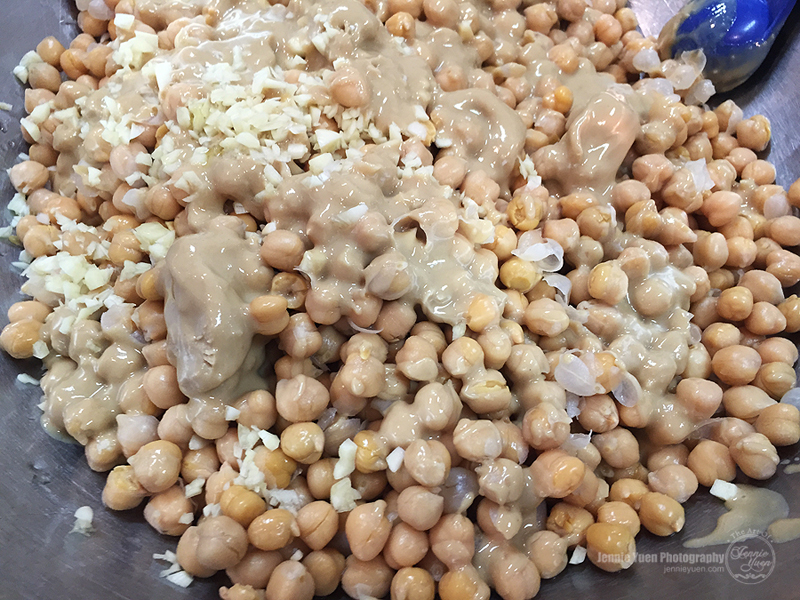 1) Drain and rinse the canned chick peas. 2) Add all ingredients to food processor and blend until it is at the desired consistency. 3) Taste and adjust seasoning as desired.